A sign welcomes guests to Nutkin Knoll Farm and Sugarworks in Newburgh for Maine Maple Sunday in 2015. Maine’s maple and honey producers are hoping the federal government backs off proposed new labeling requirements that they fear could undo decades of industry marketing of the natural sweeteners. 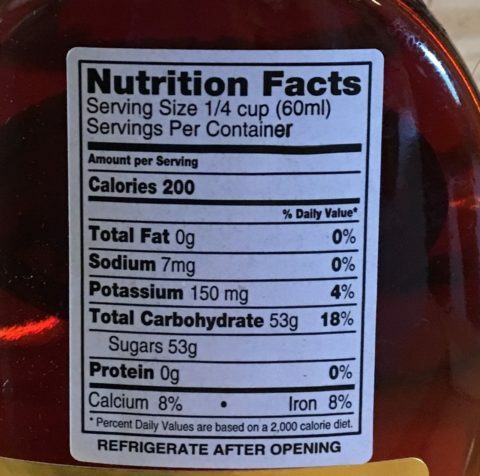 As part of a campaign aimed at educating consumers about excess sugar in their diets, the U.S. Food and Drug Administration is proposing that labels on pure maple sugar and pure honey contain the language “added sugar,” despite acknowledging no added sugar is present in either product beyond what naturally occurs. Maple and honey are sweet because of their naturally occurring fructose and glucose sugars. In the case of pure maple syrups and honey, “added sugar” means how much sweetener — albeit naturally occurring — a single serving contains above the FDA recommended daily sugar allowance. Any food that has more than that allowance would have to contain the language “added sugar,” which really means “excess sugar over the recommended amount,” according to Kathy Hopkins, educator with University of Maine Cooperative Extension and advisor to the Maine Maple Producers Association. The current label on a jar of pure, Maine maple syrup. If the FDA does not exempt maple and honey producers from new label rules, producers will have to state "added sugar" on their labels. “The gist of it is the FDA has said, ‘We have not updated nutrition labels for a while, and we need to do that,’” Hopkins said. “They were looking at Americans having many health issues — obesity being one of them — so [they] decided to do more education with food nutrition labels. That kind of semantic hairsplitting would be funny, if not for the real impact it could have on Maine’s $20 million annual maple syrup industry, U.S. Sen. Angus King said. 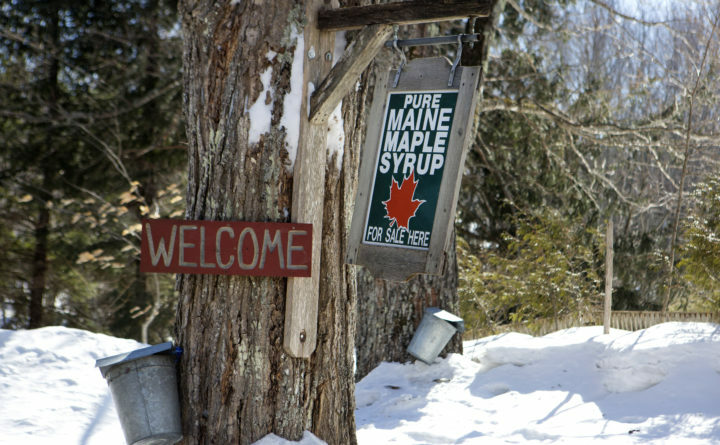 Maine is the third largest producer of pure maple syrup in the country, with 539,000 gallons coming out of the state’s sugar bushes this year. The recommendations were proposed three years ago, but because there had been no move to implement them until recent months, they had fallen off the radar of most of Maine’s maple syrup and honey producers. Nationwide, syrup and honey producers are asking for an exemption from the requirements, Hopkins said. But so far the only compromise the FDA has offered is allowing them to place a small “t” next to the “added sugar,” indicating a footnote in very small print on the label explaining the product is all natural sugar with nothing more added. “The symbol would lead the reader to truthful and non-misleading statements outside the nutrition facts label to provide additional information regarding the added sugars,” Eisenman said. The compromise, according to Eisenman, is offered as a solution to address concerns from the honey and maple syrup industries about their products being adulterated with corn syrup or other added sweeteners. For northern Maine maple producers Steve and Holly Hardwick, the new labeling rules make little sense. The Hardwicks produce and sell maple syrup, taffy, sugar and hard candy. All but the hard candy are single ingredient, 100 percent maple sugar. The candy, Holly Hardwick explained, do contain some corn syrup, which allows them to harden. Beekeepers and honey producers in Maine are also keeping a close eye on the possible label changes. 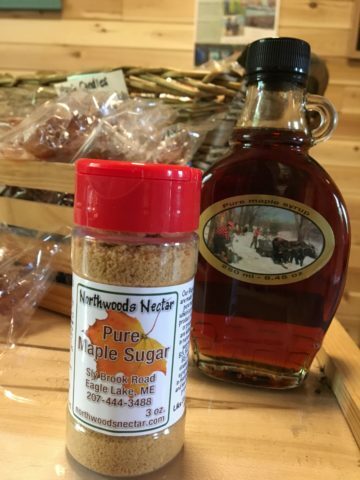 Pure maple products like syrup and sugar have no additional, processed cane sugar added. McLaughlin said beekeepers he’s spoken to share the concerns of maple producers that the “added sugar” label will mislead consumers. On the Senate floor Wednesday, King urged the FDA to step back and exempt the single-ingredient natural sweeteners from the added sugar label addition. In April, Congresswoman Chellie Pingree also spoke against the label change during testimony at a hearing with the House Appropriations Subcommittee on Agriculture, Rural Development, Food and Drug Administration and Related Agencies. “If the consumers think they have been hoodwinked all these years and paying extra for pure maple syrup or honey, they may stop buying them and just start purchasing those syrups that are made from processed cane sugars and cost less money,” she said. The FDA is expected to make a decision on the new labels in the coming weeks, and if approved, producers would have to start complying in 2020. “We are hoping for a sweet ending to a sticky problem,” King said.